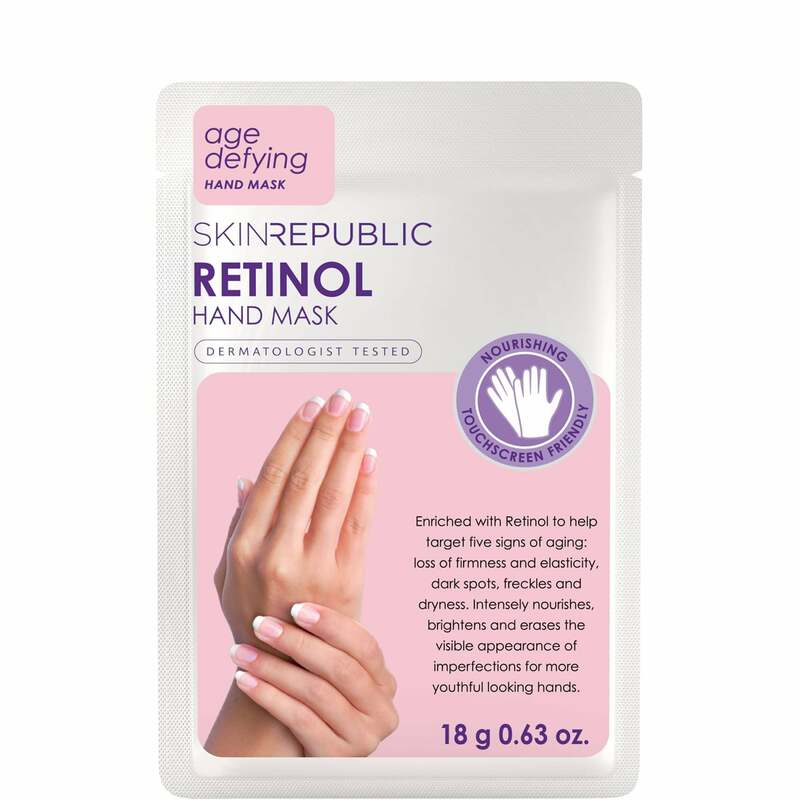 Enriched with Retinol to help target the 5 signs of ageing on the hands. The 5 targets are the loss of firmness, elasticity, dark spots, freckles and dryness. The hand mask gives the hands an intense nourish. It helps brighten and erase any imperfections that may be visible on the hands. Helps the hands look more youthful again. Safe to use on natural nails, gel polish and extensions.